The Richmond Mural Project: The Dedication of Extraordinary Ordinary People Occurred Sunday, November 3rd 2013! 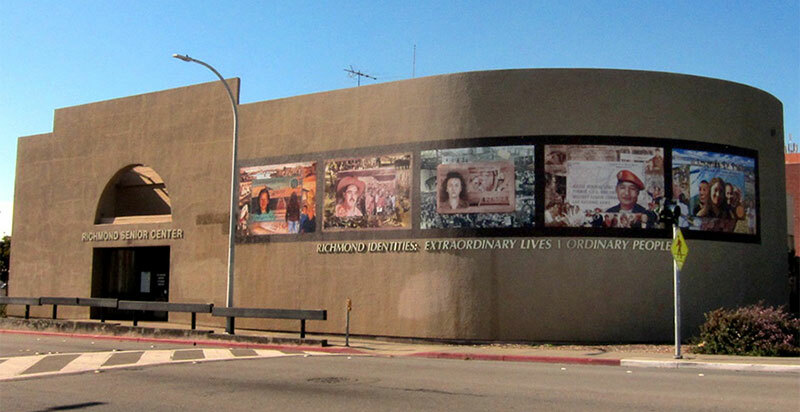 “The Extraordinary Ordinary People of Richmond” is the newest mural recently completed by the UCLA@SPARC Digital/Mural Lab for the City of Richmond, CA. Community members collaborated on the development of the content through sharing stories and experiences in four workshops led by Professor Baca and the SPARC team in Richmond, CA. This process informed the artists on the concerns of the residents of Richmond and the variant perspectives of the community. Individuals were asked to bring memorabilia, photos, and treasured objects; these materials were photographed or scanned into an online multimedia archive. The mural’s content is derived from these stories of the people of Richmond and through their historical materials, i.e. books, films, and photographs.